Over the weekend, some serious fundraising took place in the neighborhood. Knockdown Center, Bat Haus, and Brooklyn Fire Proof East all hosted events dedicating funds to various organizations gearing up for a fight against the orange one and his cronies. Our very own Cristin Noonan described Saturday's events at Knockdown Center: "I didn't care that the heat wasn't really on at the Knockdown Center, either. There was so much fiery female power oozing from everywhere already!" The artwork at Knockdown Center. Photo by Cristin Noonan for Bushwick Daily. 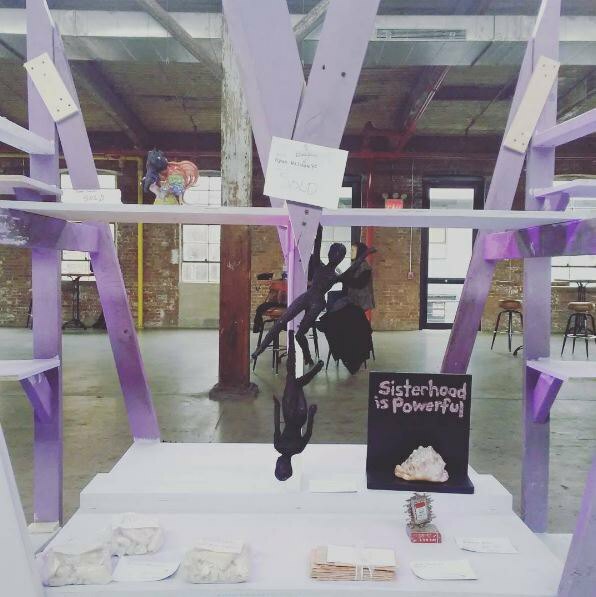 Knockdown Center alone reports having raised $50,000 dollars for Callen-Lorde Community Health Center, Girls for Gender Equity, the New York Immigration Coalition, SisterSong, and Planned Parenthood. That number becomes all the more impressive when you consider the fact that most of the art was priced at under $100 or less and tickets to additional parties and events were no more than $20. The conversations taking place during the day on Saturday "focused on community organizing, addressing the diverse needs of different communities, and identifying tools to empower ourselves as women and citizens in preparation for the years ahead" say organizers of the big three day festival. And here are a few pictures from the poster making party, which took place at Brooklyn Fire Proof. 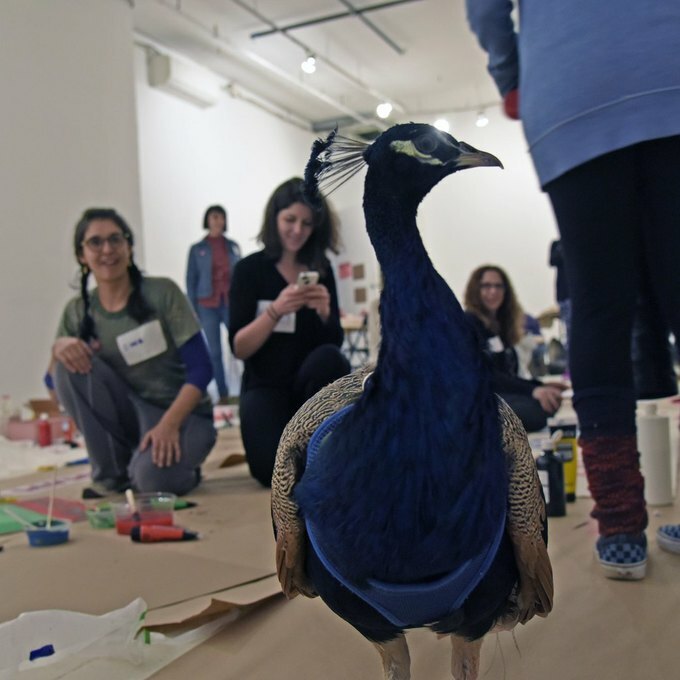 Even Dexter, Bushwick's favorite pet peacock made an appearance. 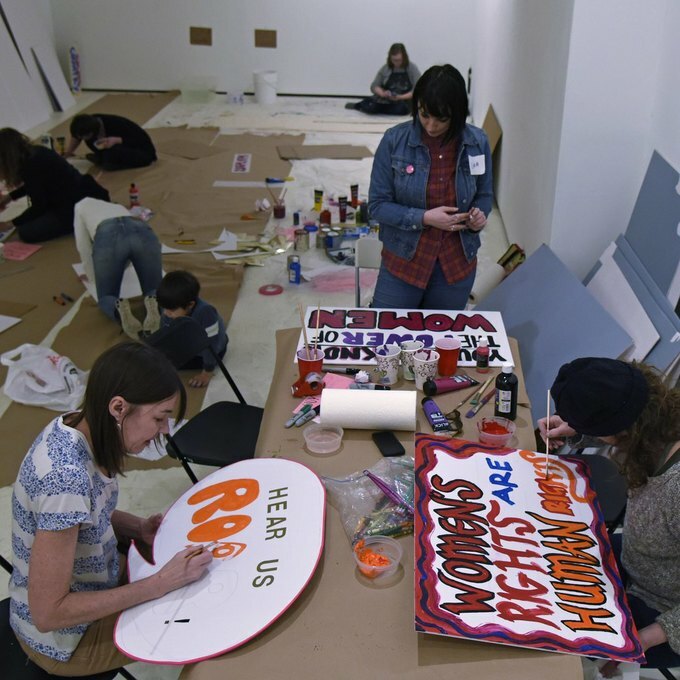 Attendees making posters for the huge number of protests happening all over the city. Photo courtesy of Phil Buehler. Dexter helps out. Photo courtesy of Phil Buehler. Take heart in the fact that so many people in Bushwick are already putting their wallets where their mouths are, even before the inauguration! Featured image: the opening reception at "Stay Nasty" courtesy of Knockdown Center.